Surmounting the significant challenges of mapping deep structures below salt with seismic data alone, this new non-seismic study which includes the Gabon to Angola margin, encourages further interest in the largely under-explored Southwest Africa offshore region. 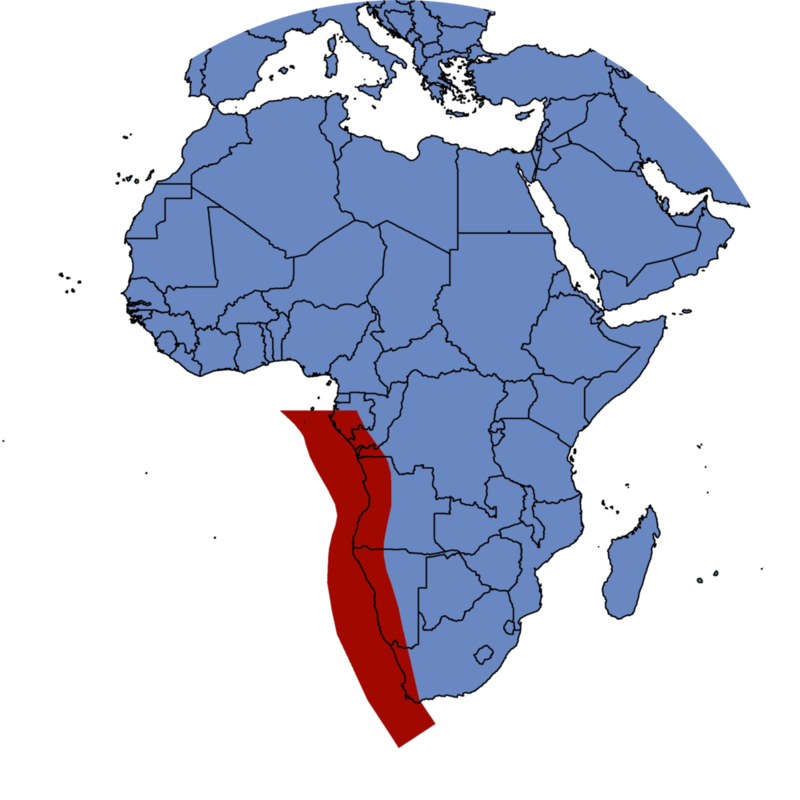 The newly-released Southwest Africa Margin SEEBASE® multi-client Study and GIS from Frogtech Geoscience focuses on syn-rift basement evolution highlighting the pre-salt petroleum plays that constitute the main target following the recently discovered giant field accumulation in the South Atlantic-conjugate margin of the Santos basin in Brazil. Available for non-exclusive license and ready for immediate digital delivery in a project ready format. Basement surface of the Southwest Africa Margin SEEBASE®. Area of Interest (red polygon) showing study coverage. Basement Geology: Analysis and description of basement terranes, assessment of terrane boundaries, and interpretation of basement composition. Tectonostratigraphic History: Plate reconstructions and summary of key tectonic events; implications for basin development, interpreted of major basement faults, and fault event maps for key events. Sediment, Crustal and Basement Thickness and Beta Factor: Derivative maps created using the SEEBASE and Moho models. Basement Heat Flow: Computation of radiogenic heat production and heat flow, integrating basement geology and architecture, as well as timing and intensity of regional tectono-thermal events. As part of Frogtech’s uninterrupted basement architecture model along the entire conjugate margin extending from Guyana-Suriname / Sierra Leone to Argentina / South Africa, the new study delivers an advanced basement architecture model that reveals links between rifted compartments of the margin upon which basin, petroleum systems and play models may be built. The Southwest Africa Margin SEEBASE® multi-client Study and GIS provides a regional assessment and basement depth model interpreted at a scale of 1:1M. This interpretation framework accommodates future integration of proprietary client datasets including higher-resolution gravity and magnetic data, well data and seismic interpretation to further customise the model in areas of interest. Above: Southwest Africa Margin SEEBASE® stack of data and interpreted layers.